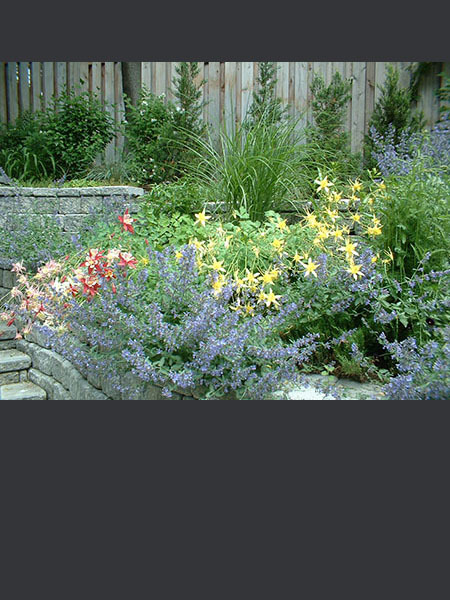 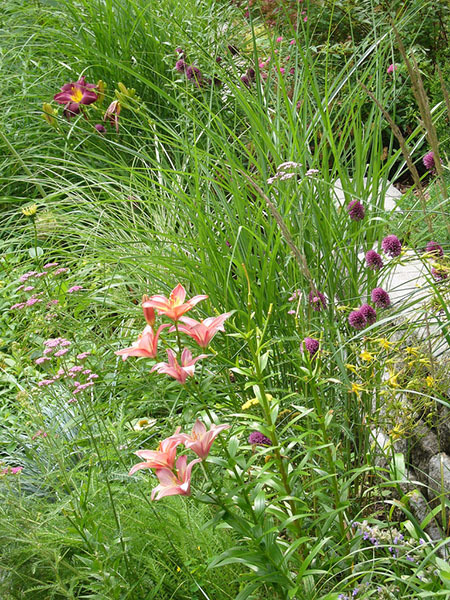 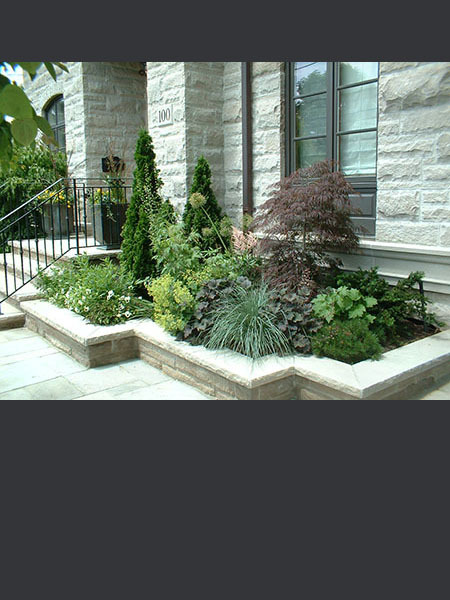 A family with four active young children requested exuberant informal plantings that would fill in quickly. 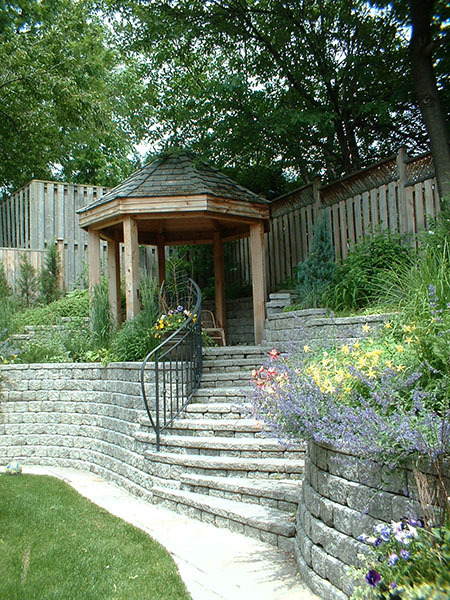 A gazebo creates a shady vantage point in an otherwise unused corner of the yard . 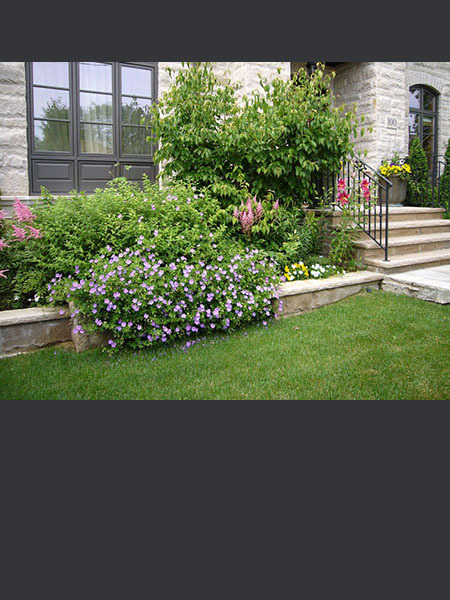 Front entrance plantings are more formal, but still luxuriant.